Weekly Photo Challenge: One – music waffle. 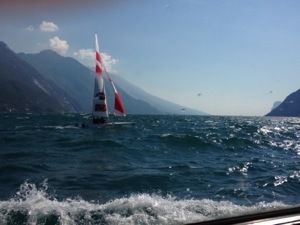 The top of Lake Garda near Rive was covered in boats and sailboards. I did quite well to only get one in the frame! Next Best of 2013: Top 5 Gigs.